1. Robyn Rihanna Fenty born on 20 February 1988. She is a Barbadian singer, songwriter, actress, and businesswoman. 2. Her mother, Monica Braithwaite, is a retired accountant of Afro-Guyanese background, and her father, Ronald Fenty, is a warehouse supervisor of Afro-Barbadian and Irish descent. Rihanna has two brothers, Rorrey and Rajad Fenty. 3. She grew up in a three-bedroom bungalow in Bridgetown and sold clothes with her father in a stall on the street. 4. Rihanna grew up listening to reggae music and began singing at around the age of seven. 5. In 2003, Rihanna formed a musical trio with two of her classmates. She was discovered in her home country of Barbados by American record producer Evan Rogers. 6. Rihanna's demo was shipped out to Def Jam Recordings, where Jay Brown, an A&R executive at the record label, was one of the first to hear the demo. Brown played the demo tape for rapper Jay-Z, who had recently been appointed as president and Chief executive officer (CEO) of Def Jam. 8. Rihanna starred as Petty Officer (GM2) Cora Raikes in her first theatrical feature film 'Battleship', which was released on 18 May 2012. 9. Rihanna has named Madonna as her idol and biggest influence. She said that she wanted to be the 'black Madonna' and praised the singer for being able to constantly reinvent herself successfully throughout her career. 10. 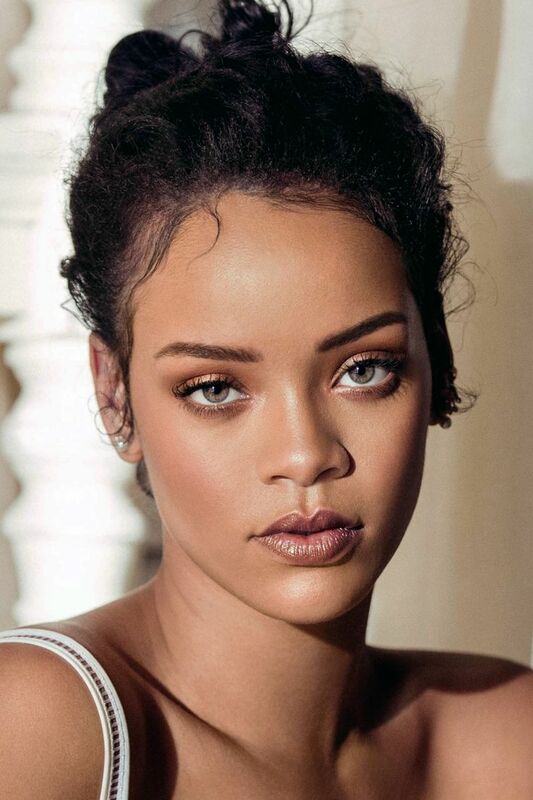 Currently, Rihanna is the founder of her own line of makeup and lingerie called 'Fenty Beauty' and "Savage X Fenty" achieving a resounding success with their sales and products.